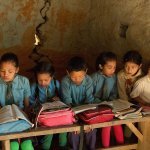 Women in rural Nepal are superwomen. 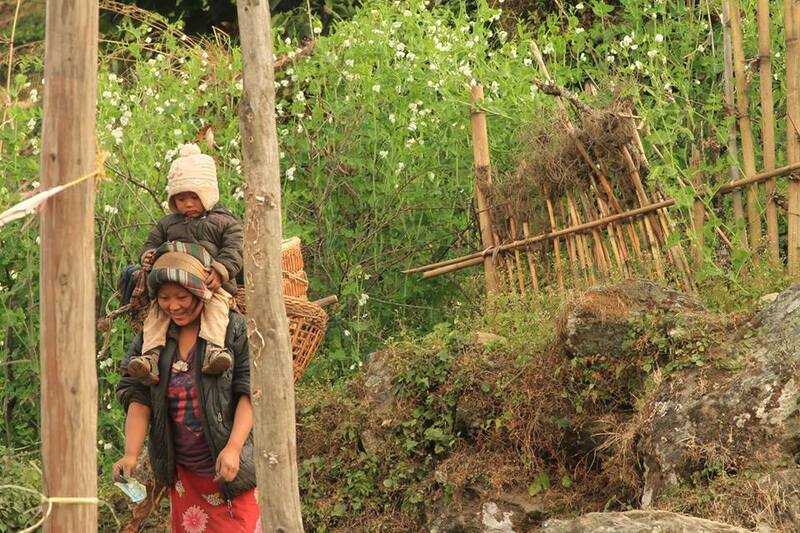 One photo from our field in Solukhumbu shows a strong cheerful lady carrying fodder basket, and her baby en route to her farm. In between all this, she also manages to do some financial transaction with her neighbor (not in photo). 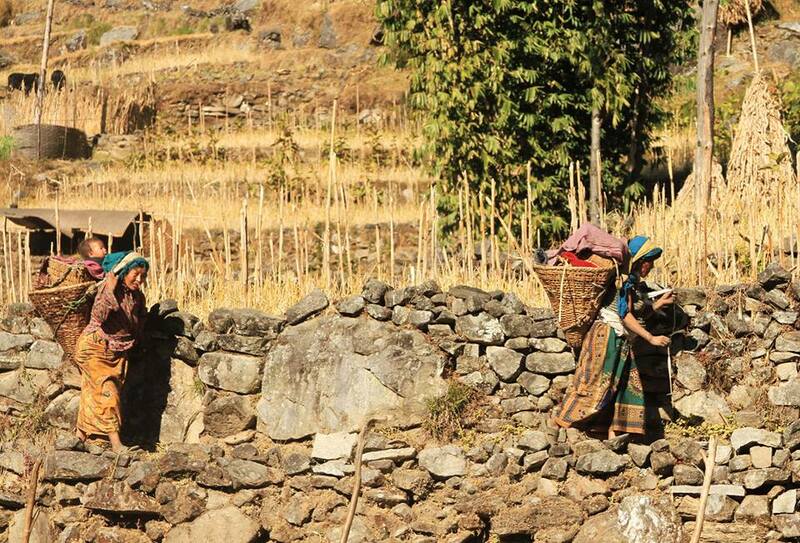 Two women in Cheskam of Solukhumbu on their way to work in the fields. 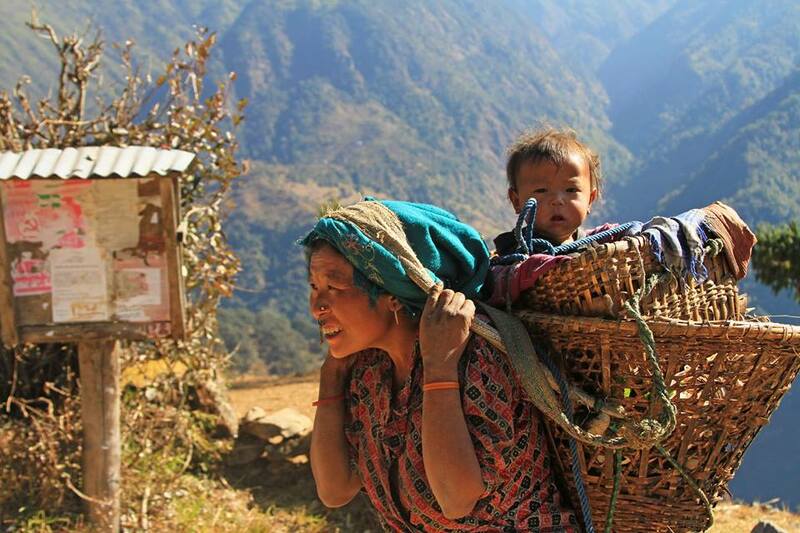 Both of them are carrying “doko” with maize husks, and “kokro” (the smaller bamboo basket on top) which holds their babies. The woman in front is also busy weaving fiber of stinging nettle called “allo”. Women of the communities such as these where we work are multi-taskers who never have a second to spare. 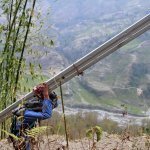 Through our “Revitalize a Village” approach, we have worked among other things to build safe drinking water which considerably saves time of women that would be spent fetching water.